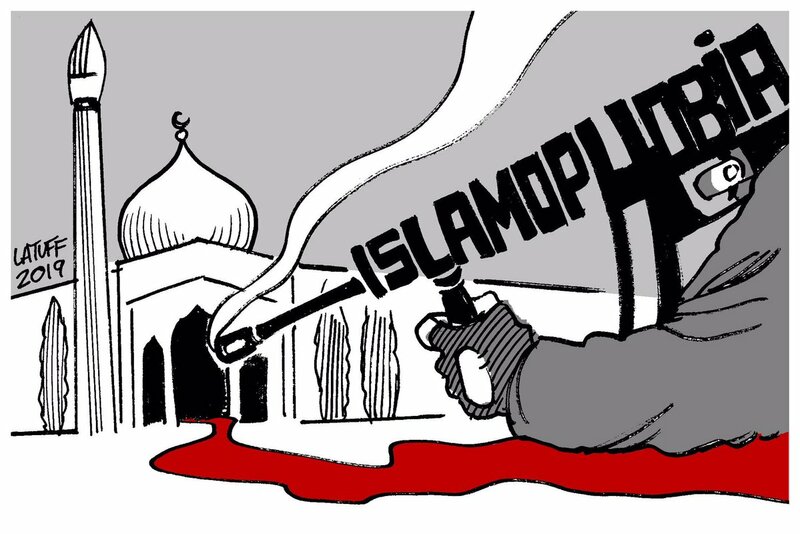 Carlos Latuff weighs in on Friday’s shooting at two New Zealand mosques, where an Australian white supremacist killed 50 Muslims offering prayers. 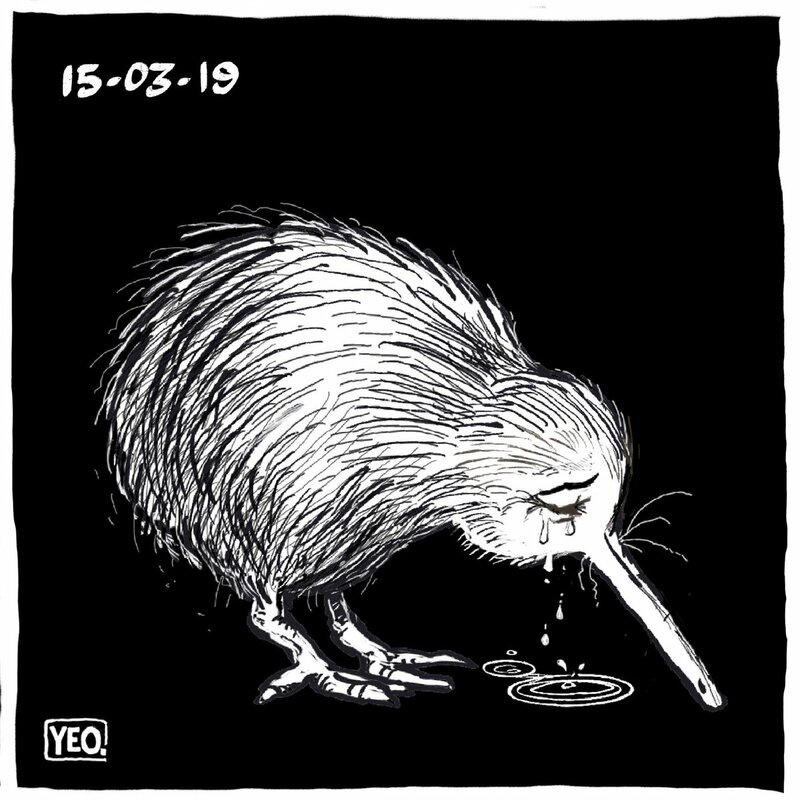 Shaun Yeo depicts a Kiwi, regarded as New Zealand’s national symbol, shedding tears for the victims of Friday’s attack on two mosques. 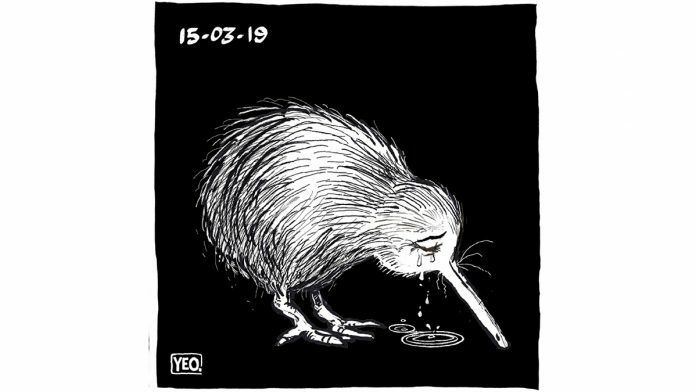 Kiwis, as residents of New Zealand are known, who prized their nation’s image as a peaceful haven have been struggling to come to terms with the attack. 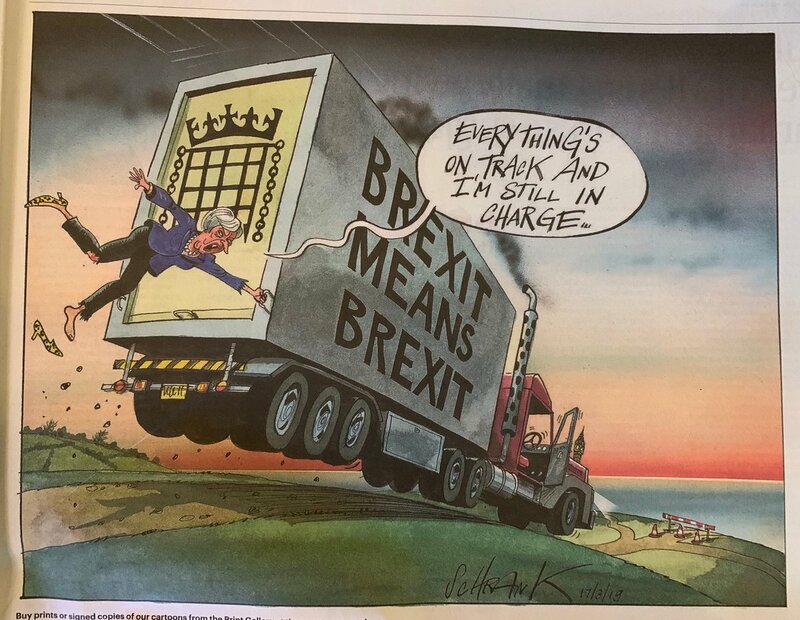 …As does cartoonist Peter Schrank. 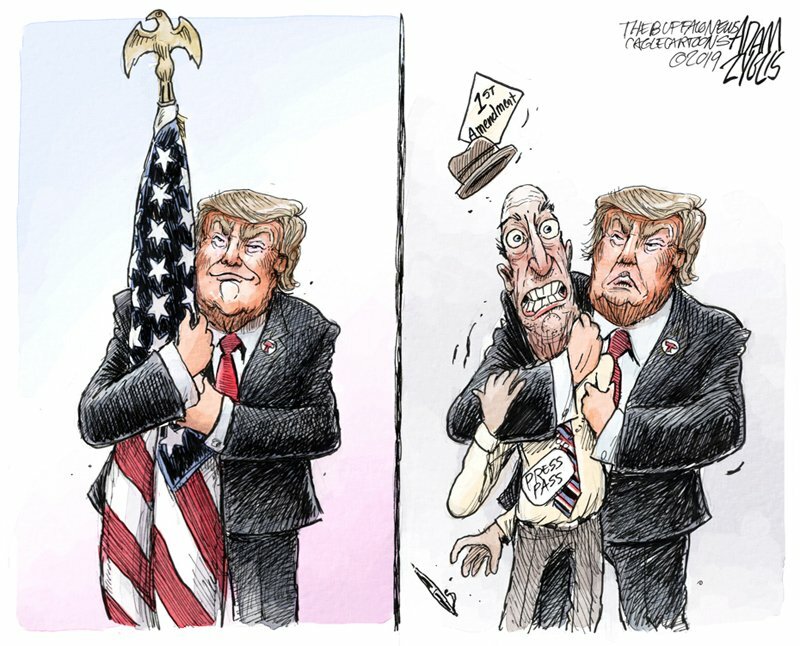 Adam Zyglis for Buffalo News points to the shrinking space for media freedom under US President Donald Trump, who ironically claims to uphold the best of American values. 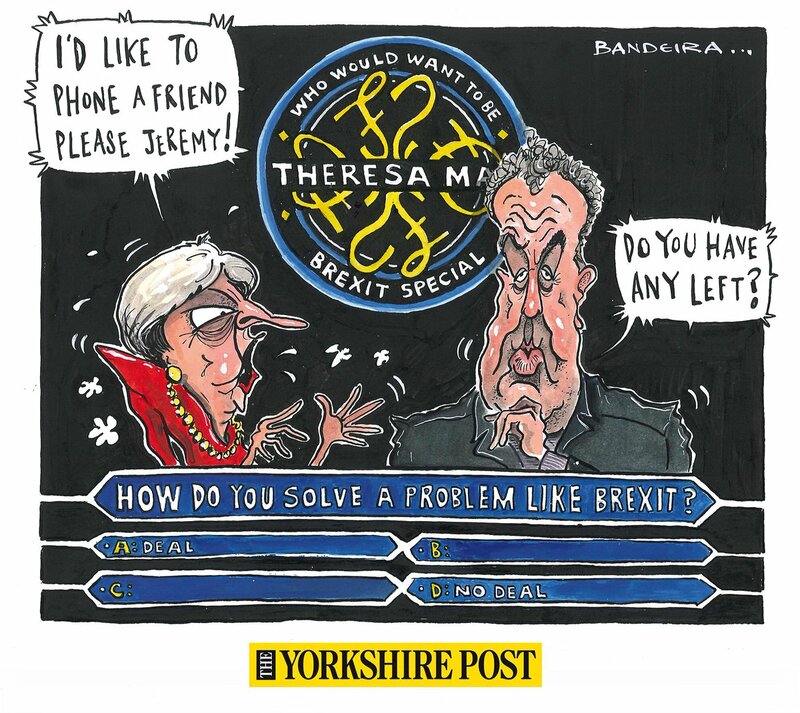 The cartoonist draws on a recent viral photograph of Trump hugging the US flag.